Joe DiMaggio was one of the greatest hitters in baseball history. 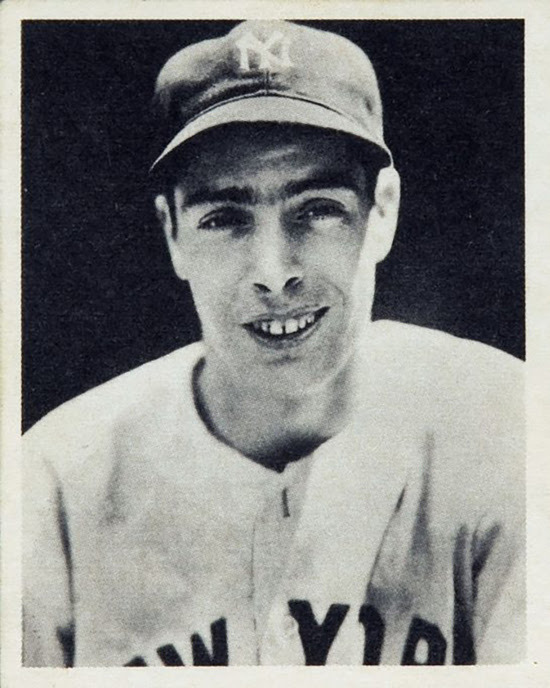 A three-time winner of the Most Valuable Player award, DiMaggio was selected to the Major League All-Star team in each of his thirteen seasons. He is best known for his remarkable hitting streak during the 1941 season when he recorded a hit in fifty-six consecutive games—a record that still stands more than seventy-five years later. I recently heard a little-known story about how DiMaggio acquired his exceptional ability. Joe DiMaggio in 1939. Published by Bowman Gum for Play Ball Cards. As the story goes, a journalist was interviewing DiMaggio at his home and asked him what it felt like to be such a “natural hitter.” Without saying a word, he dragged the reporter downstairs. In the shadows of the basement, DiMaggio picked up a bat and began to repeat a series of practice swings. Before each swing, he would call out a particular pitch such as “fastball, low and away” or “slider, inside” and adjust his approach accordingly. We love stories like this—stories that highlight how remarkable success is the product of effort and perseverance. In recent years, the study of hard work has developed into a scientific pursuit. Experts have begun to refer to focused and effortful training as “deliberate practice” and it is widely considered to be the recipe for success. There is no doubt that deliberate practice can be the recipe for success, but only under certain conditions. If we are serious about maximizing our potential, then we need to know when deliberate practice makes the difference between success and failure and when it doesn’t. Before we can capture the power of deliberate practice, we need to understand its limitations. In the early 1990s, a man named Louis Rosenbaum began analyzing the eyesight of Major League baseball players. He soon found out that professional baseball players were nothing like the normal person when it came to vision. According to Rosenbaum’s research, the average eyesight of a Major League position player is 20/11. 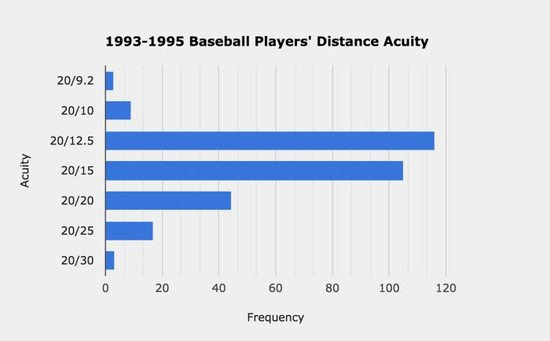 In other words, the typical professional baseball player can read letters from twenty feet away that a normal person can only read from eleven feet away. Ted Williams, who is widely regarded as the greatest hitter in the baseball history, reportedly had 20/10 vision when he was tested by the military during WWII. The anatomical limit for human vision is 20/8. If you want to play professional baseball, it helps to practice like DiMaggio, but you also need eyesight like an eagle. In highly competitive fields, deliberate practice is often necessary, but not sufficient for success. The myth of deliberate practice is that you can fashion yourself into anything with enough work and effort. While human beings do possess a remarkable ability to develop their skills, there are limits to how far any individual can go. Your genes set a boundary around what is possible. In recent decades, behavioral geneticists have discovered that our genes impact nearly every human trait. We are not merely talking about physical characteristics like height and eyesight, but mental abilities as well. Your genes impact everything from your short-term memory abilities to your mental processing speed to your willingness to practice. How big is the influence of genes on performance? It’s hard to say. Some researchers have estimated that our genes account for between 25 percent to 35 percent of our differences in performance. Obviously, that number can vary wildly depending on the field you’re studying. Well, while genetics influence performance, they do not determine performance. Do not confuse destiny with opportunity. Genes provide opportunity. They do not determine our destiny. It’s similar to a game of cards. You have a better opportunity if you are dealt a better hand, but you also need to play the hand well to win. How do we play our hand well? How do we maximize our genetic potential in life—whatever that might be? One strategy is to “layer your skills” on top of one another. If you can’t win by being better, then win by being different. By combining your skills, you reduce the level of competition, which makes it much easier to stand out regardless of your natural abilities. Similarly, we should seek to fight battles where the genetic odds are in our favor. It is impossible to try everything in life. Each of us could become any one of a billion different things. Thus, if you aspire to maximize your success, then you should train hard and practice deliberately in areas where the genetic odds are in your favor (or where you can overlap your skills in a compelling way). Deliberate practice is necessary for success, but it is not sufficient. The people at the top of any competitive field are both well-suited and well-trained. To maximize your potential, you need to not only engage in consistent and purposeful practice, but also to align your ambitions with your natural abilities. Regardless of where we choose to apply ourselves, deliberate practice can help us maximize our potential—no matter what cards we were dealt. That is the magic of deliberate practice. It turns potential into reality. I first heard this story from Darin Van Tassell at Georgia Southern University, who either coached with Joe DiMaggio or knew someone who did. I can’t vouch for the authenticity of the story beyond that. The Sports Gene by David Epstein. Page 40. During my research I discovered a variety of organizations that test professional athletes. A physician named Bill Harrison runs one of them. Harrison began testing athletes in the 1970s and claims that out of the thousands of baseball players he tested, Barry Bonds scored higher on visual tests than anyone else. Interestingly, these tests were conducted back in 1986, long before Bonds became the all-time leader in home runs and suffered his notorious scandal involving performance-enhancing drugs. The Sports Gene by David Epstein. Page 46. Career Advice by Scott Adams. My best articles: Browse my best writing by category and title. My reading list: 100+ good books to read across a wide range of topics. The Habits Seminar: My best-selling course on habits and human behavior.As always, you can follow my adventures on Facebook, Twitter, and Instagram. Enjoy this email? Forward it to a friend or click here to send them a quick email.